Destiny 2 gets a new – er, new-ish – seasonal event next week as we enter spring through The Revelry. While this is the first time we’ve gotten an event dedicated to early year blooms, it’ll look pretty familiar if you’ve participated in previous seasonal events. The Verdant Forest is the primary game mode here, which means you’ll once again be battling through the Infinite Forest. As the ‘Verdant’ label implies, the Forest is much greener this time, but the goal is still to clear as many rooms as you can. Beating bosses here will give you a chance at pieces of the Inaugural Revelry armour set, and your chances at those drops will increase as you defeat more bosses. You’ll be equipped with a Reveler’s Tonic through all this, which fills up with Reveler’s Essence from killing Verdant Forest bosses or running through other activities. You can choose between three tonics which will drop the cooldown of your grenades, melee, or class ability, and the power of the tonic grows as you equip more pieces of the event’s special armour. The buffs apply in every game mode – including Crucible. 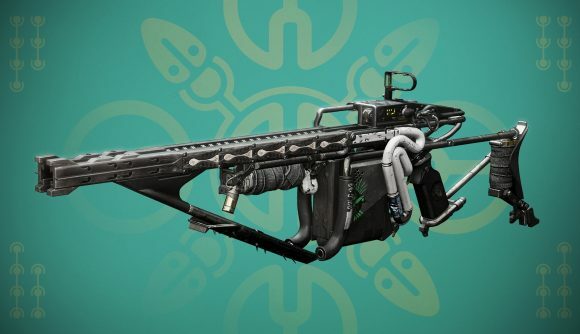 A new Exotic kinetic fusion rifle called Arbalest is also joining the lineup through the event, which you can earn by completing Triumphs and turning in the Reveler’s Essence currency. It does bonus damage against shields. You can see a teaser for the event in the trailer above, and more details at the official site. The Revelry will run from April 16 until May 7. It’ll be one of the last big bits of content before we say goodbye to the Season of the Drifter and hello to the Season of Opulence.